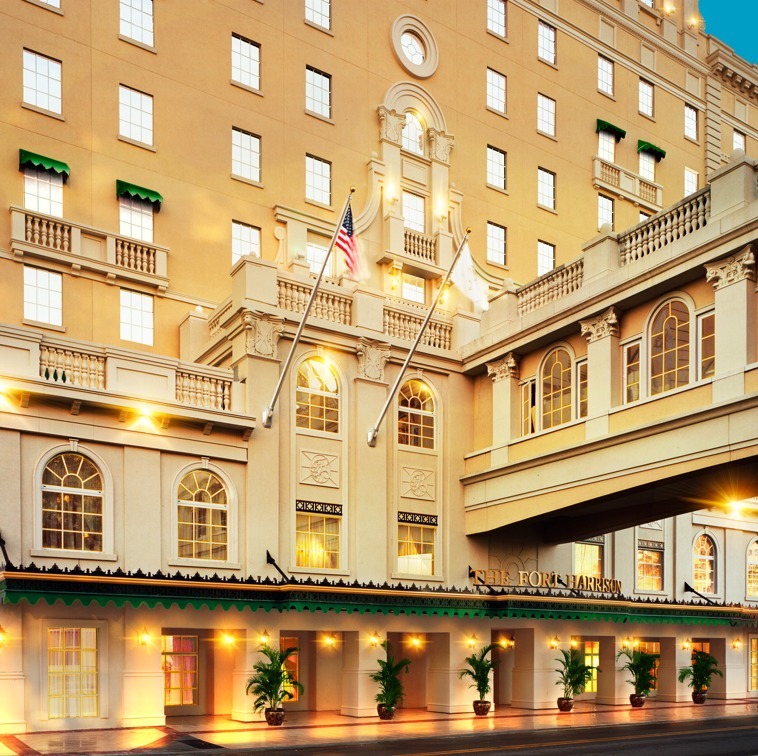 The auditorium, ballroom and conference rooms at the Fort Harrison in downtown Clearwater are the site of many community, charitable and cultural events courtesy of the Church of Scientology. Did you know Clearwater has a cultural plan? Probably you don’t. Most people don’t. It does exist, however, and if such a plan could be transformed into a magnet for future dreams—think of what could happen. 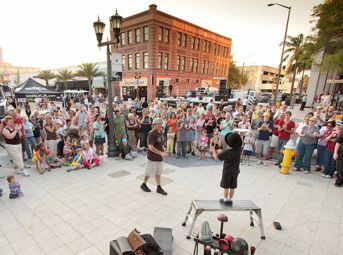 The monthly “Blast Friday” is a festival of street performers and music. 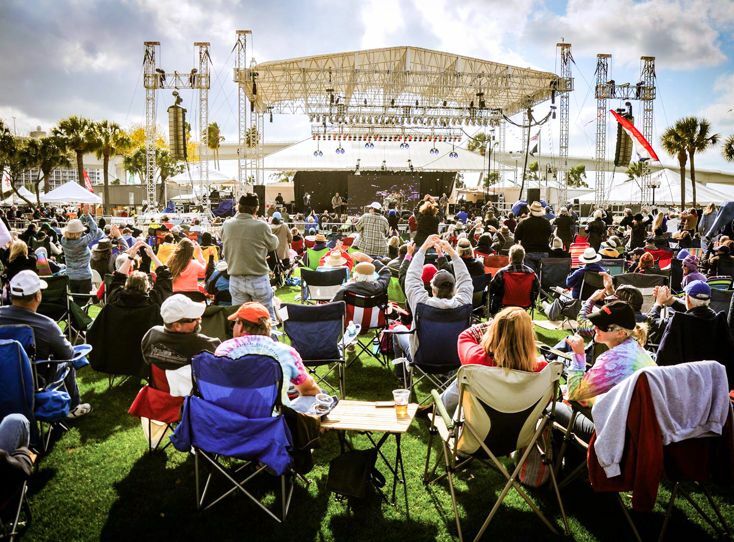 The Clearwater Sea-Blues Festival draws tens of thousands of people to Coachman Park during February each year. Back to the Clearwater Cultural Plan, that proclaimed its consistency with the official vision of Clearwater: “Sparkling Clearwater is a uniquely beautiful, economically vibrant community that re-invests in itself and is a wonderful place to live, learn, work and play.” This was accepted by the City Commission on September 5, 2002, and updated 11 years later into something called the official Clearwater Strategic Vision—a document of super vision, if you will, long-sighted on chest-puffing and short-sighted on actual implementation. 6. Recognize and achieve the cultural industry’s potential to contribute significantly to the economic well-being of Clearwater. Recognize and achieve the cultural industry’s potential to contribute significantly to the economic well-being of Clearwater. Despite the various Cultural Plan verbiages, Clearwater has made very little progress on the goal to establish itself as “an artist-friendly city,” in the vein of neighbors to the north (Dunedin, Safety Harbor) and south (St. Petersburg, Gulfport). One example: The colorful/creative storefronts and murals that articulate the youthful vitality, especially, of Dunedin and St. Petersburg are still stymied by dowager downtown Clearwater regulations. According to Commissioner Susan Latvala, Clearwater’s Community Development Code sign regulations, which cleared up the unsightly billboard advertising along Gulf-to-Bay, also applies to downtown merchants’ signs, public artwork—just about anything short of a tombstone. But beyond obstacles such as Clearwater’s sometimes self-defeating rules—easily remedied if public opinion weighed in—is a much tougher hurdle. Just as no government panel ever created a great work of art, few bureaucrats have the skill sets to cause a cultural renaissance. Travolta scripts a scene in which all of the actors are motivated. “It takes a whole community—government officials, citizens and artists to create a more aesthetic environment. This is a great recipe for success and everyone benefits.” Corea, reached in France for his comments, is singularly upbeat about what could happen here—because he has seen the dynamics work elsewhere. “Well, I’ve traveled to so many beautiful summer vacation spots around the world playing concerts,” he says. 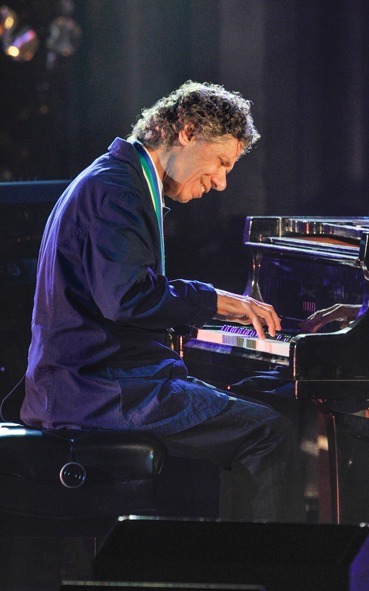 “The summertime is filled with jazz festivals all through Europe, the USA and other parts of the world. For instance, I spent three days in Juan-les-Pins, Antibes, France, playing a concert just a week ago. This is the famous Côte d’Azur—also known as the French Riviera—beaches and hotels which go for miles along the Mediterranean coast. 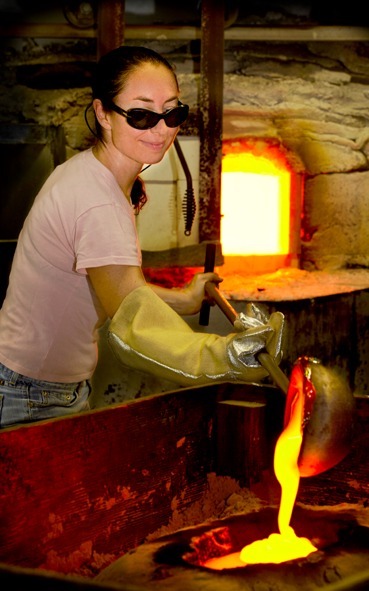 Clearwater is a magnet for artistic talent—at the newly opened Capitol Theatre, with world-renowned musical performers such as Chick Corea, and with artists and sculptors such as glass designer Marlene Coates. 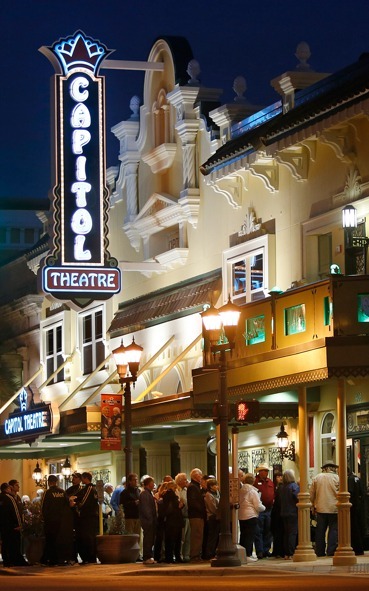 Corea recently attended a Manhattan Transfer concert at the newly renovated Capitol Theatre. “Wow!” he said. “It’s such a beautiful renovation! And it looks like the Ruth Eckerd team are going to continue to book great shows there. I think it would be great to also have some smaller places that presented live music. I always thought that small clubs and restaurants are great environments for a community to present their local talent as well as bring in the bigger names from time to time.